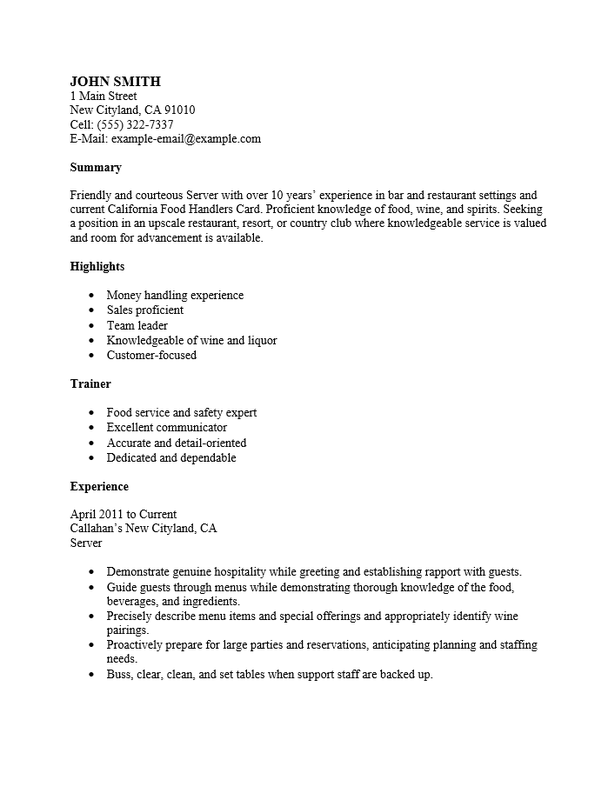 A Restaurant Server Resume Template enables job hunters to quickly respond to an opportunity with a personalized document. 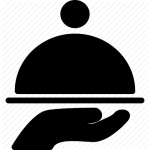 Restaurant servers will tend to focus in a specific area of industry. However, due to the nature of their skills, there is a certain flexibility in that serving in a restaurant can be applied in a variety of areas if so desired…especially if conducting a job search during a busy season or a particularly dry spell. Regardless of the preferences of the candidate or the nature of his or her job search, he or she will need a professional resume that will present their skills in a sleek and professional manner. A resume template will provide headings for sections employers will expect to see. This is after all the primary method a hiring entity has of evaluating a candidate’s viability for an interview. 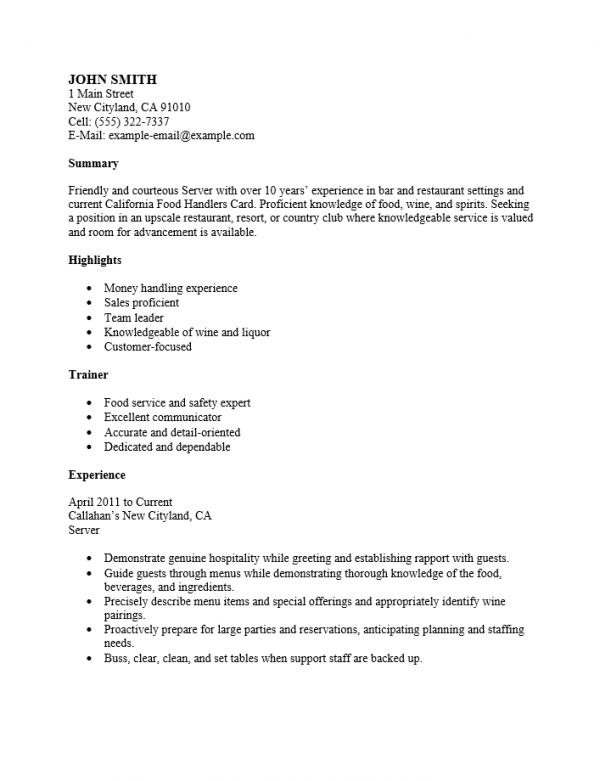 It should be noted that when restaurants look to hire, it is usually a position that must be filled as soon as possible and that a hiring entity will be bombarded with inquiries once an ad is placed. It’s generally a good idea to keep the content brief and to the point. It should apply to the requirements of the sought after position and should make us of the current jargon of the field. By cutting the time it takes to format a resume out, a resume template enables a quick response to a job ad. The content, if well written, will increase the chances of gaining an interview. Step 1. The first line of the template is where you should put your full name. This should be the most noticeable text on the document so try a larger font or using a bold or underline effect. Step2. Directly below your full name, enter your contact information. This is how potential employers will contact you. Step 3. Write two to three statements describing your professional life and goals. If stating the goal of attaining the positon, make sure to mention the company’s name. These statements should be placed under the “Summary” heading. Step 5. The “Experience” section will be a list of your previous jobs in reverse chronological order. Applicants should list who they worked for, where and how long they worked for them, and the official job title they held. It is standard and somewhat mandatory to describe the duties you were assigned for each position you held. Step 6. In the “Education” section list the year (or expected year) you earned your diplomas/degrees, the school where you earned them, its location, and any other relevant or impressive information.